For those who wish to gain a more thorough understanding of the fascinating world of gemstones, join us for this full-day class where not only will we cover the big 4 (diamond, ruby, sapphire and emerald), but we will also introduce the wonderful world of the rare, unusual and exotic - gems that look so good, you will want to eat them! 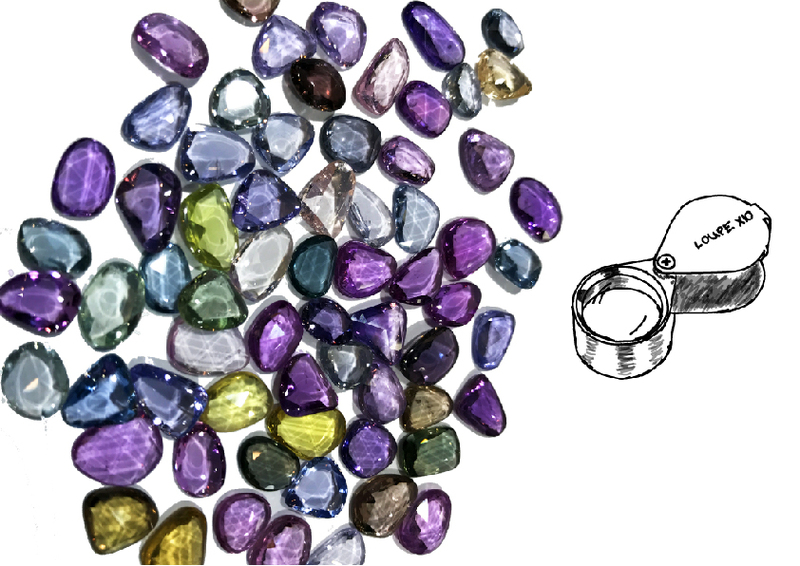 Students will learn the basics of gemmology through a series of lectures, demonstrations, exercises and quizzes where they they will have the chance to try out gem identification tools on our wide selection of gemstones for themselves. Don't worry if it sounds like it's all a little much to take in, full colour handouts will be provided to take away! Whilst students won't leave this full day class as a gemmologist (that unfortunately takes a few years), they will leave with a much deeper understanding of the jewellery and gemstone industry as a whole, and be much better equipped when making purchasing decisions in the future. Class fees are RM800 for the full day course, and include full colour handouts for all topics covered.